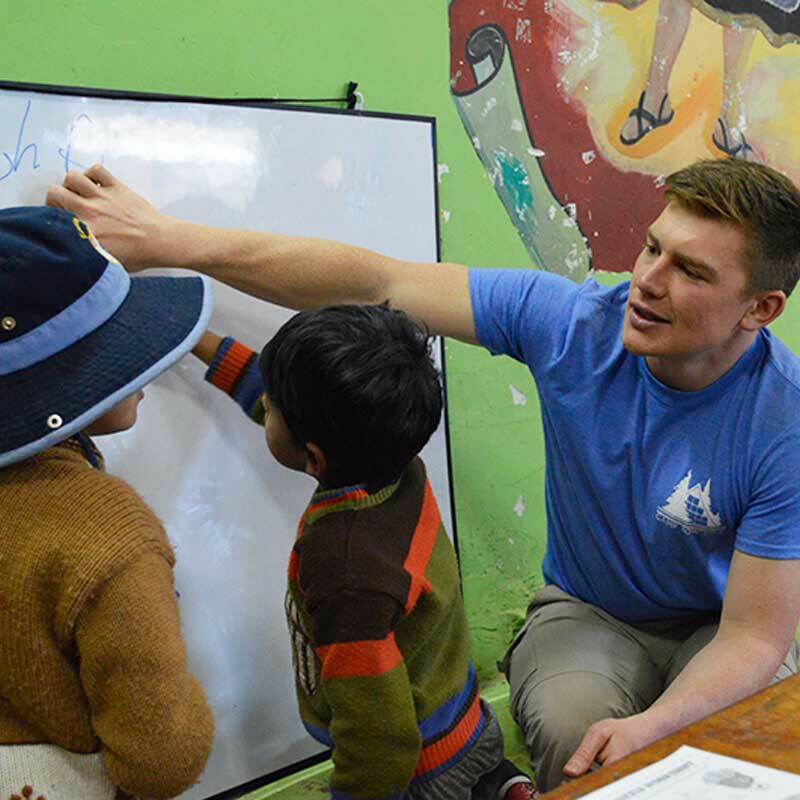 Want to Teach English in Chile? The country of Chile stretches from the stark Atacama Desert near the Peruvian border, through the lush vineyards of the central region, south to the frozen fjords of Patagonia. Its capital, Santiago, nestles in a valley at the foot of the Andes. The Training Center is conveniently located in Providencia, an upscale neighborhood of tree-lined residential streets, high-rise office buildings, and plenty of shopping and restaurants. The Center is only a few blocks from the city’s sparkling metro system, and a five-minute walk from Suecia, a five-block hotspot hosting dozens of restaurants and nightclubs. 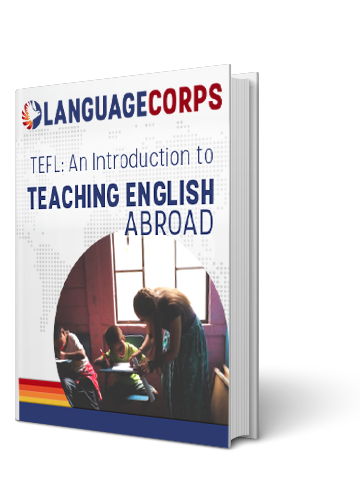 The four-week training course includes 140 hours of classroom time and at least 6 hours of observed Teaching Practice with local EFL students. The Training Center is located at a well-known language school in the heart Santiago. Trainees have the opportunity to interact with the professional teaching staff on a daily basis. The modern facility includes 17 fully equipped classrooms, central air-conditioning and heating, a library of teaching materials, plus access to fax, phone, e-mail and the Internet. Trainees have the full support of the administrative staff, who can help new teachers get settled in Santiago by recommending medical services, housing, restaurants, activities, and information on how things work in the city. The Center can also arrange language-tutoring exchanges, trading your English classes for Spanish instruction. We highly recommend this tactic! Accommodations during the four week program are available with host families near the Training Center for an additional cost of US$1,100 (private room, including breakfast and dinner). Santiago home stay families open their middle-class, often single-parent, households to our trainees. They may or may not have children living at home. All host families live in attractive homes in safe neighborhoods. With a host family, you will have your own bedroom and either a shared or private bathroom. You will be given a key to the house or apartment and are free to come and go as you please (though, as a guest living with a host family, you should be sure to respect the routine of the people you are staying with). Host families provide breakfast and dinner, and enjoy spending time during meals chatting with students – home stays are an excellent way to get to know the local culture and language. A limited number of shared apartments is available for $800; you will have a private room and prepare your own meals. Typically, you will share the apartment with a local Chilean. Airport pick-up (one-way) can be arranged for an additional $25. If you are interested in brushing up on your Spanish, you have the option of complimentary virtual language classes, given over Skype for $12 an hour. These can be done at your convenience either before or after the course (and since they are virtual, they can be done regardless of your location!). 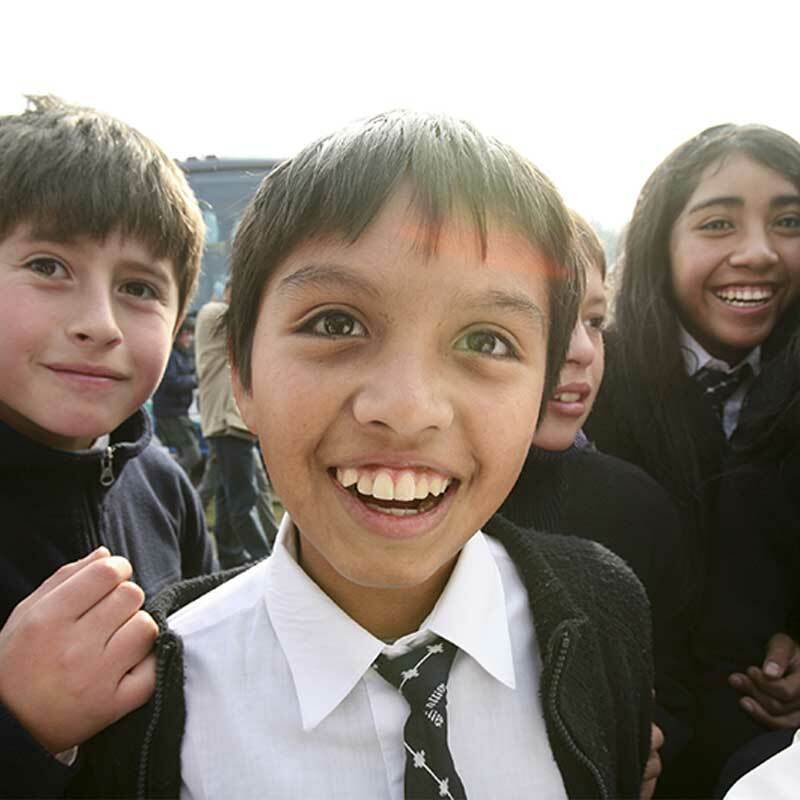 Teachers in Chile find work in public schools, private schools, or corporations in many of Chile’s big cities, suburbs, and rural areas. Most common positions are hourly in private language institutes. Students are typically adults and professionals — very motivated students who are fun to teach. Classes are usually small, ranging from 4-12 students. Most institutes and corporate companies schedule classes early in the morning, during the lunch hour, and in the late afternoon to early evening. Peak hiring season in Chile is March through August. State school and university jobs involve more complexity but are obtainable at an assistant level (the assistant level in the Chilean educational system is a solid position that requires qualified teachers), conversation groups, or workshops. Most of the teaching opportunities are to be found in the capital, Santiago. Other places where our teachers have found ESL positions are Concepción, Puerto Montt and Antofagasta. Most contracts in Chile are between 6 and 12 months. Beginning teachers usually work 20-25 hours per week, while more experienced teachers move up to 25-35 hours per week. There are many opportunities to teach private classes if you want to supplement your income. Most jobs are part time, so teachers often work for more than one language school to fill a full-time schedule. In Chile, it’s best to hit the ground running for your job search as most job interviews are face-to-face. In very few occasions, a phone or Skype interview before traveling to Chile is possible. Be prepared to start working at short notice! Being around for the peak hiring months significantly increases your chances of quickly finding a job. A TEFL, TESOL or CELTA certificate is needed for teaching ESL in Chile and makes you very marketable as a teacher. A 4-year degree is strongly preferred, but not always a requirement. Having a business degree can be helpful when teaching in a corporate setting to more advanced speakers of English, but with the strong demand for teachers in Chile, it is certainly possible to obtain a paid teaching position without a degree. Pay for teachers varies widely, and depends on your qualifications, hours-per-week, and length-of-contract. The longer you are available, the greater the offers as an English teacher. Hourly salaries can range from US$5-17, monthly salaries from US$700-1200, depending on the number of hours that you work, location and type of students you teach. Chile is a so called “break-even market” and teachers should expect their living expenses to be around the same amount as their salary. You should be able to support yourself economically, and live comfortably in Chile. Of course, depending on your lifestyle choices, you might be able to save some money. After training, you will most likely rent a room in an apartment or house with other students or Chileans. Renting a place shouldn’t be very expensive, especially with roommates. In very few occasions employers will provide a room for you, either shared or single (usually in an apartment with other teachers) and provide you with a monthly stipend. Benefits: airfare, housing and health insurance are typically not provided by the employer. If you have a contract for a year, you’re entitled to three weeks of paid vacation. Most people, including those from the U.S., Canada, Europe, and South Africa, automatically receive a 90-day tourist visa upon arrival in Chile. People from Australia need to pay a reciprocity fee. Please check with your local embassy. You do not need a special visa to participate in the TEFL course as this doesn’t exceed the 90 days. As a big exception in Latin America, most schools in Chile will help their teachers to obtain a work visa. This can be done from within the country once you’ve signed your contract with your employer. The visa that is the easiest to get is known as the ‘Visa Sujeta a Contrato’. With this visa, you are allowed to work legally for the company that has helped you obtain your work visa. The other option, the ‘Visa Temporaria’ gives you more flexibility in terms of the company you work for, but the requirements are more strict. Both visas can be renewed from within the country up to two or three years. Please note that this is subject to change. Your in-country team can give you more advice on this. Some countries, like Australia, New Zealand, Canada and the several countries in Europe, have established agreements with Chile to promote cultural exchange between their citizens. In order to increase their citizens to travel and work in another country, they can apply for a Working Holiday Visa. This visa is usually meant for younger travelers and usually has several other restrictions, but can be very interesting as it allows you to work abroad legally for a year. Some schools also hire teachers on a tourist visa and pay them ‘under the table’. However, we recommend that you work for a school that does sponsor for a work visa, as these schools tend to be more reputable. If you are working on a tourist visa, you will need to hop the border and come back every 90 days to renew your visa and be legal in the country again. Teachers who work on a tourist visa usually take this as an opportunity to visit Argentina or Peru! If you’ve decided that Chile is your new home and that you’re not ready to leave yet – or ever- after renewing your ‘Visa Temporaria’ or ‘Visa Sujeta a Contrato’, you are required to apply for a permanent residency known as the ‘Permanencia Definitiva’. The ‘Visa Temporaria’ and the ‘Visa Sujeta a Contrato’ are temporary visas with a limit. If you don’t apply for the ‘Permanencia Definitiva’, you are required to leave the country. A land of extraordinary extremes and stunning natural beauty, Chile is simultaneously one of the most modern and stable nations of South America. Chile has in recent years negotiated free-trade agreements with nations across the globe, maintains an open, market-friendly economy, benefits from a dependable financial system, and consistently has one of the lowest rates of unemployment on the continent. The capital, Santiago, is located in a valley at the foot of the Andes. Thanks to its central location, the city is the perfect base from which to visit northern and southern Chile. Also, thanks to Santiago’s central location, in less than an hour and a half west or east you can be strolling on the coast of the Pacific Ocean or skiing in the snowcapped mountains. Santiago’s climate is mild and Mediterranean/Californian. The city of nearly 6 million is quite efficient and easily navigated. Residents are very friendly to foreigners and modern conveniences are universally available, from quiet parks to nightclubs open until dawn. Chile stretches extensively north to south and from sea to mountain, and therefore has several different climatic zones. Santiago is quite temperate, with distinct seasons. Chilean cuisine varies with the ecosystem as one travels north to south and from mountain to sea. The wide range of international cuisines available in Santiago adds yet more choices. Try a pastel de choclo (a pie of chicken, corn, onions, and olives) on a hot day by the coast, or kuchen (a fruity flan of German origin) from the cold south. A wide variety of beef dishes (often served with eggs), along with various soups and stews (chupes and curantos), are also available, as are perhaps the world’s most delicious avocados. It should come as no surprise that a country with over 25,000 miles of coastline enjoys an abundance of seafood. From ceviches of clams or sea bass to caldillo de congrio (eel soup) to ostiones a la parmesana (scallops broiled in butter and cheese) to chupe de locos (abalone bread pudding), Chilean chefs and home cooks are masters of their aquatic cuisine. Wine lovers will be familiar with Chile’s world class offerings, and others enjoy licuados (milk shakes, often with fruit), juices, and teas. Pisco, a Chilean brandy, is popularly consumed in a pisco sour with sugar, lemon juice, and egg whites. Santiago breakfasts tend to be small and simple: a cup of coffee or tea and maybe a slice of toast or a fruit. Lunch is traditionally eaten between 1:00 PM and 3:00 PM and many restaurants offer a menu. This is a set lunch of two or three different options that will consist of a soft drink, bread, salad, a main dish and desert, and is quite inexpensive. A regular menu is also available from which you can choose, but it’s more expensive. Many people in Santiago and Chile enjoy coffee, or tea, allowing them to hold off until supper which is usually quite late — if you go out to eat before 10:00 PM the restaurants will be nearly empty. The maximum tip given by most Chileans at a restaurant is 10%. Although the water in Santiago is safe, it contains microorganisms that your system may not be accustomed to. It is advisable to drink bottled water if you will be visiting for a short period or, if you plan on staying for a length of time, to adjust slowly to the water. While on the street, drink bottled water. It is similarly not advisable to eat food cooked on the street. Santiago has a seasonal climate, so be prepared to wear shorts and t-shirts in the spring and summer, and warm jackets and sweaters in the fall and winter. A dependable umbrella will come in handy during the rainy season, as will a lighter jacket for spring evenings and fall days. Note that winter sees the need for comfortably warm clothes that can be worn inside and out (central heating is almost nonexistent in Chile – home owners usually use small propane heaters that can be wheeled around the house but are not very efficient). And don’t forget alpine ski clothes! Teachers should be prepared to dress professionally while working. This means dress shoes; nice slacks or skirts; collared shirts, sweaters, or nice blouses. While it is rare for Teachers to wear suits, some of your students will, and certainly many language schools have dress codes that don’t permit jeans or athletic shoes. At the least, males will find that having a few ties with them can be an advantage. Santiago is Chile, say the Santiaguinos, and in this capital city, you’ll certainly see why. Located in central Chile, Santiago is the country’s cultural, commercial, industrial and political center. It is one of South America’s most sophisticated cities, a thriving metropolis that’s home to five million people – nearly a third of Chile’s entire population. While it may not boast of the rich, vibrant culture that defines cities like Rio or Buenos Aires, as the city booms economically and memories of the stifling Pinochet dictatorship fade, Santiago is reinventing itself as it undergoes considerable expansion of the arts, nightlife, and the restaurant scene. And the location is unparalleled-no other Latin American city is located near such a diverse array of day attractions, including wineries, ski resorts, and beaches. When you begin to explore Santiago you will find that its best features are in a localized area that runs along the length of the Mapocho River. Start in “el centro”, the city’s historic downtown, home to museums, cathedrals, cultural centers, and civic institutions. When you’re ready for a change in scenery, walk over to Cerro Santa Lucia. From this hilltop park, across Avenida Alameda, see the Barrio Londres/Paris neighborhood, then backtrack to Lastarria Street and Santiago’s burgeoning art-and-cafe neighborhood, Parque Forestal (and the Plaza Mulatto Gil de Castro). From here, it is just a short walk across the Mapocho River to the Bellavista neighborhood and Cerro San Cristobal. If you are in the mood for more, wander around the shopping district of Providencia by crossing back over the river. If the arts are your thing, you will find plenty to do. Santiago is known for its theater, from large-scale productions to one-person monologues put on at a local cafe. Or take in a symphony, ballet, or opera at the city’s gorgeous, historic Teatro Municipal. The National Chilean Ballet and invited guests hold productions from April to December, with contemporary and classic productions such as The Nutcracker. There are musical events and special productions throughout the year. Santiago’s club scene caters to an 18- to 35-year-old crowd, and it gets going pretty late: from midnight to 6am, on average. If you like electronica, you might check out “fiestas” publicized in the weekend entertainment sections of newspapers that list 1-night-only raves and live music. There are dozens of music venues spread across the city, but the one that attracts the best bands and has the most variety is La Batuta, located about a 10- to 15-minute taxi ride from downtown and Providencia. The atmosphere is underground, but the crowd profile depends on who’s playing. Alternatives include restaurants and cafes in the Bellavista area that feature jazz, bolero, and folk music from Thursday through Saturday nights.